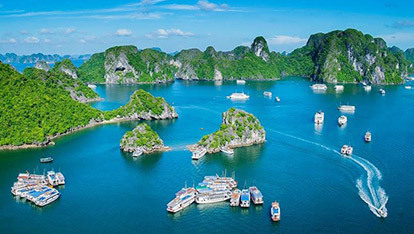 On a mар, Vietnam lооkѕ like the letter "S", with 3 parts: the Nord, The central, and the South. 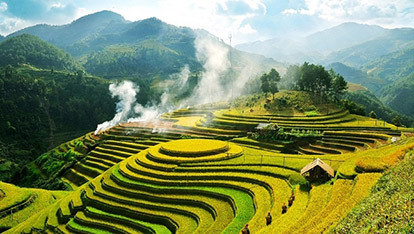 Thanks to the beautiful landscape and the very ancient history and culture, Vietnam is the best destination for those who want a vacation that combine at the same time a discovery of the beautiful landscape, the culture, culinary, and history, and the most interesting is that, they all are distinct at each part, you will go from surprise to surprise and fall in love with our country. 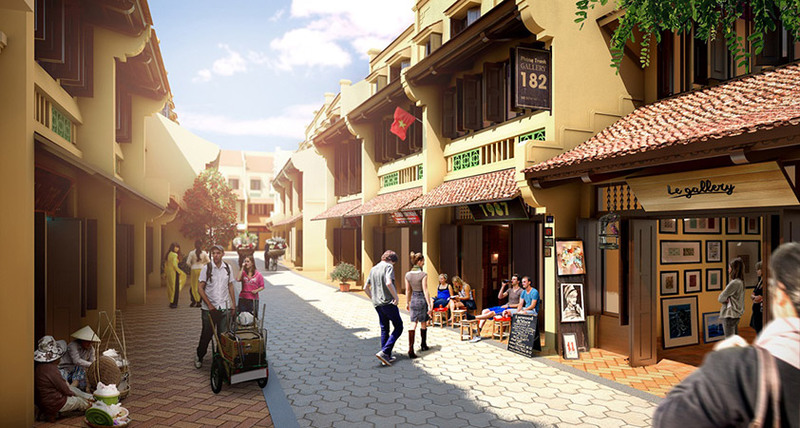 With vietnam 12 days tour, guests of Galatourist will experience the real Vietnam. 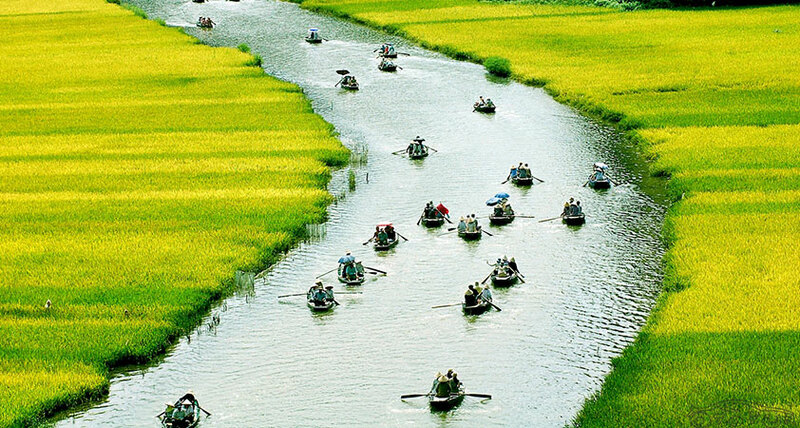 Cruise for 2 hours rowing sampan to Linh Coc - Hai Nham ( Ninh Binh), other name as "Inland Halong Bay." 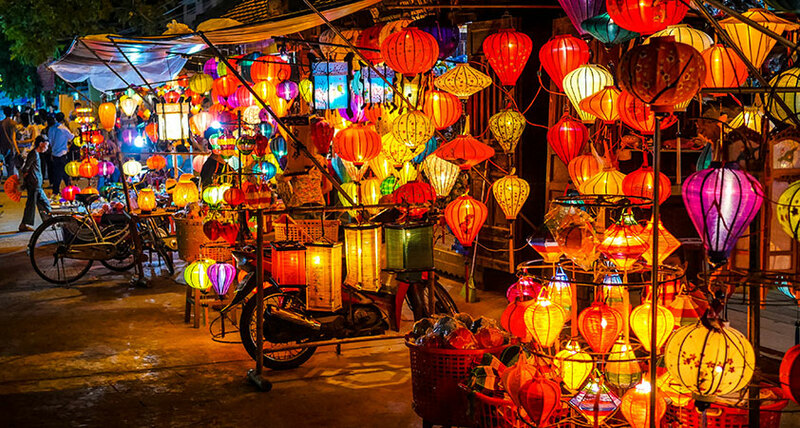 Discover the poetic city Hue & the ancient town Hoi An. 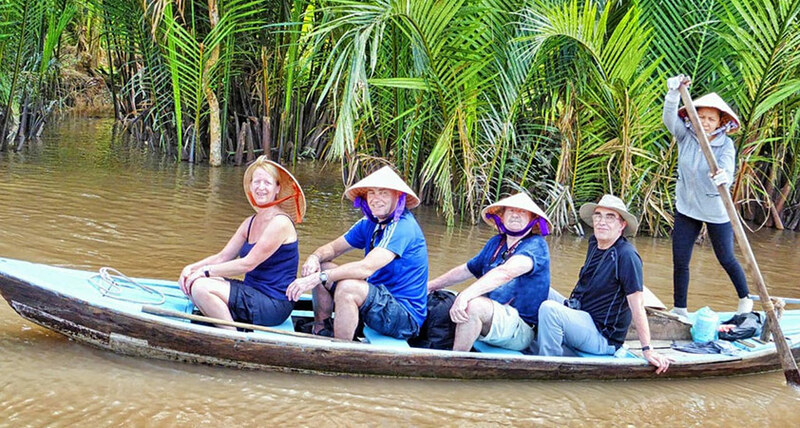 Discover Mekong floating markets and the daily life of fishermen in the Mekong Delta. 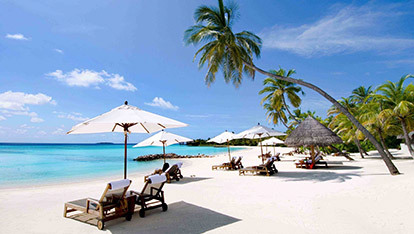 Welcome at the airport and transfer to your selected hotel. One Pillar Pagoda, the emperor Ly Thai Tong constructed the temple in gratitude for this in 1049 by erecting a pillar in the middle of a lotus pond, similar to the one he saw in the dream that he met the bodhisattva Avalokiteshvara, who handed him a baby son while seated on a lotus flower. 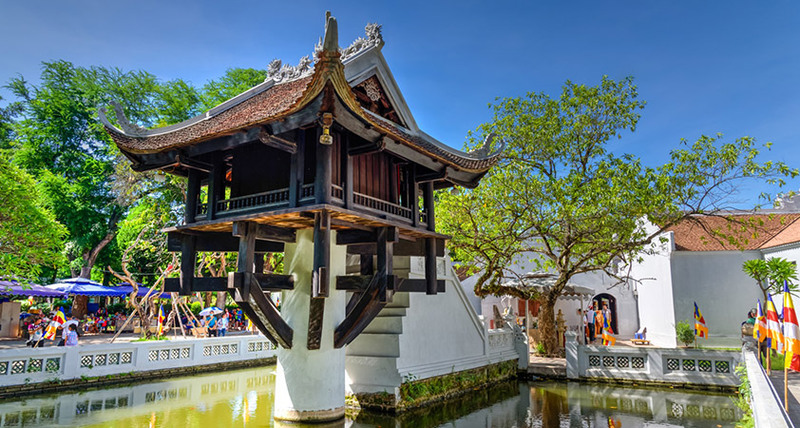 Tran Quoc Pagoda, the oldest pagoda in the city,originally constructed in the sixth century during the reign of Emperor Ly Nam De, thus giving it an age of 1,400 years. With its harmonious architecture taking advantage of the watery landscape, the pagoda is a picturesque attraction. The sunset views from the temple grounds are renown. 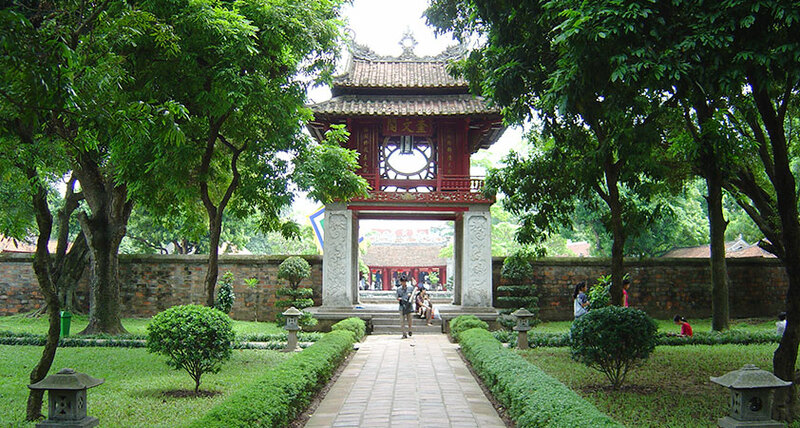 Temple of Literature, Vietnam's first national university where offering ceremonies, study sessions and the strict exams of the Dai Viet took place. 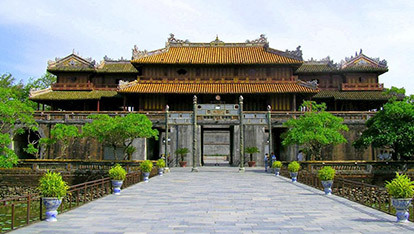 Built in 1070 at the time of King Ly Nhan Tong, tt is one of several temples in Vietnam which are dedicated to Confucius, sages and scholars. 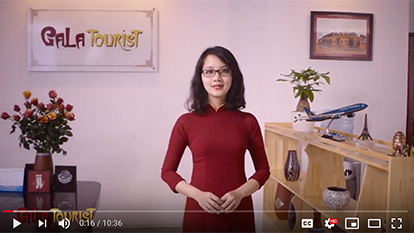 Ngoc Son Temple, being built on the Jade Islet and dedicated to Confucian and Taoist philosophers and the national hero, Tran Hung Dao and enjoy a rickshaw tour in the Ancient Quarter with its antique shops. In the morning, after breakfast, transfer to Halong Bay. 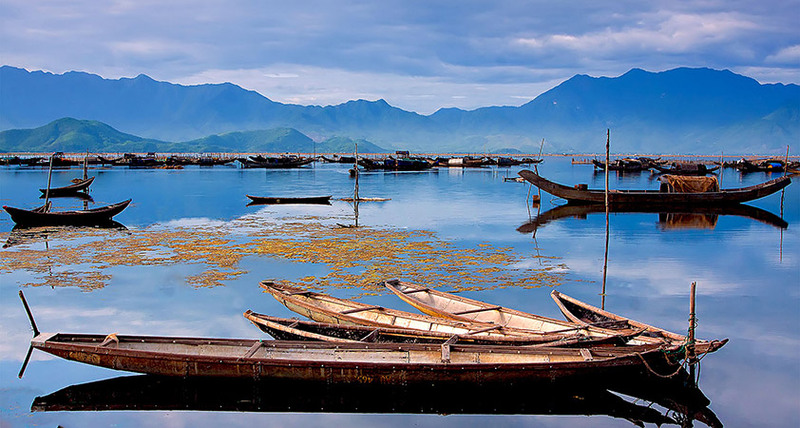 Be delighted with food on board and spend your day admiring one of the natural marvels of Vietnam. 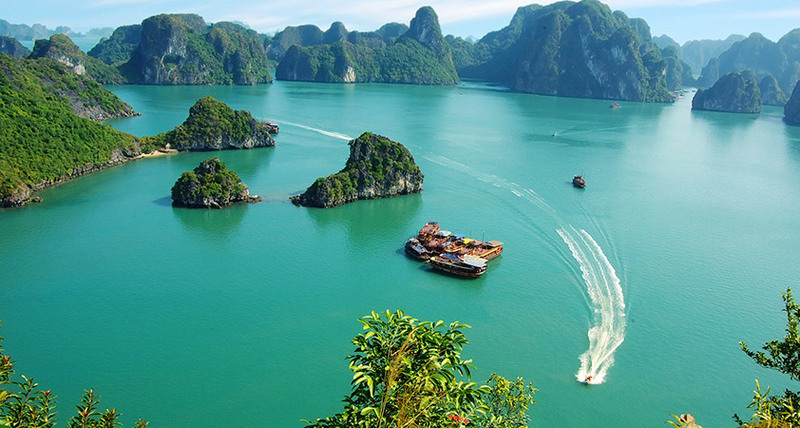 Visit islets & Surprising cave in Halong, is on Bo Hon Island and is one of the most spectacular and largest grottoes of Ha Long Bay. The mouth of the grotto is reached by ascending about a hundred stone steps. If the weather is nice, enjoy a swim in the cool blue water of the Gulf of Tonkin. 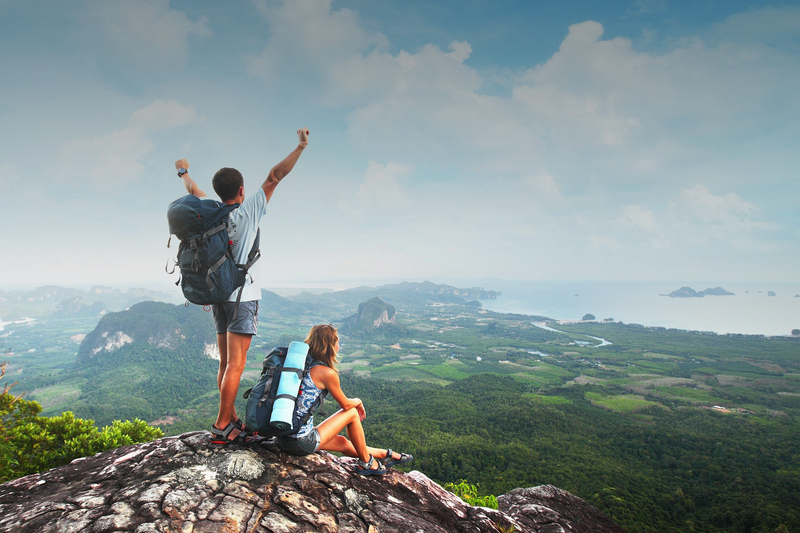 Discover Man’s Head Island, Tortoise Island, Luon cave, Bai Tu Long bay, Ton Island and Bai Tho Mountain. 11h00: Enjoy an early lunch on board. 12h00: End of the cruise, then drive to Ninh Binh. On the way, stop to taste green been cakes. 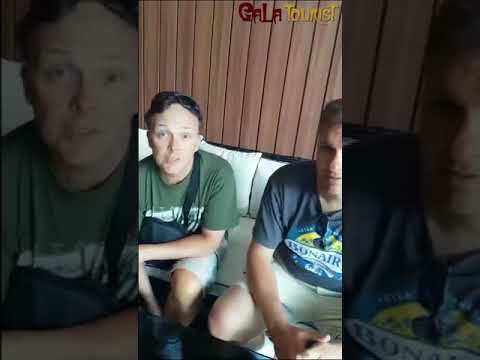 Arrive in the afternoon and check in hotel. 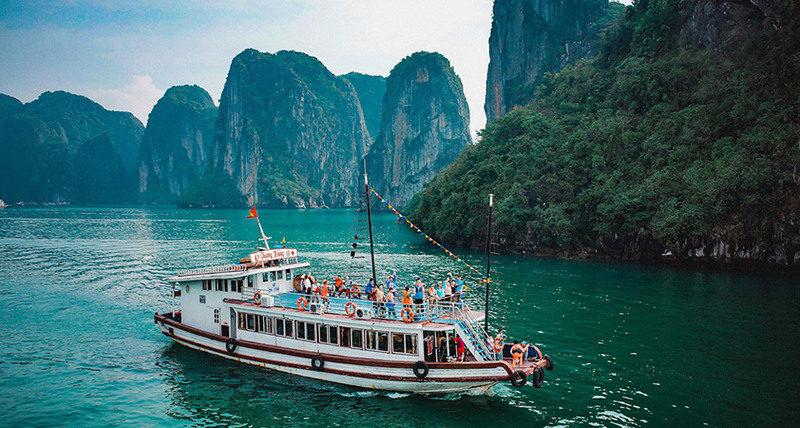 After breakfast, take a small sampan for a spectacular 2-hour cruise through numerous waterways, admiring a beautiful rural landscape of limestone cliffs and rice fields to the stunning Linh Coc Hai Nham (at 05 km from Tam Coc, with three cave Hang Chua, Hang Nge, Hang But). 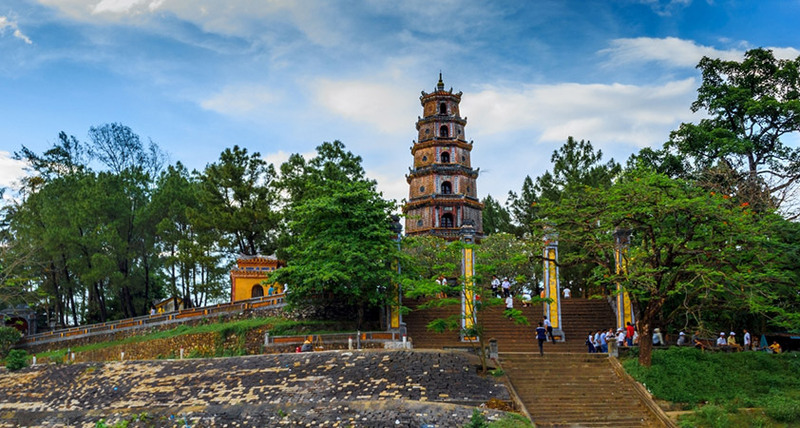 In the afternoon, visit the Hoa Lu citadel - was the capital as well as the economic, political and cultural center of Đại Cồ Việt, an independent Vietnamese polity founded in 968 A.D. by the local warlord Dinh Bo Linh. 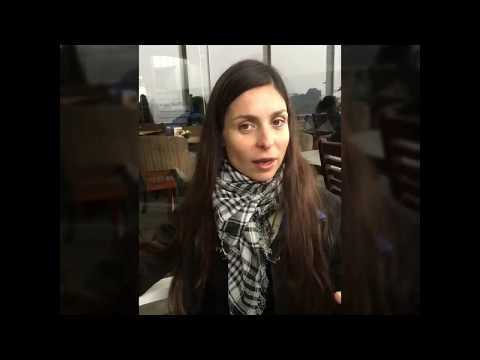 Today, the ancient citadel no longer exists, and few vestiges of the 10th century remain. 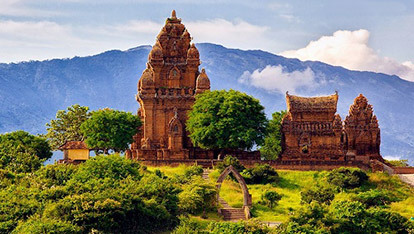 Visitors can see temples built in honor of the emperors Dinh Tien Hoang and Le Dai Hanh, their sons, and Queen Duong Van Nga, who was married first to Dinh Tien Hoang and then to Le Dai Hanh. 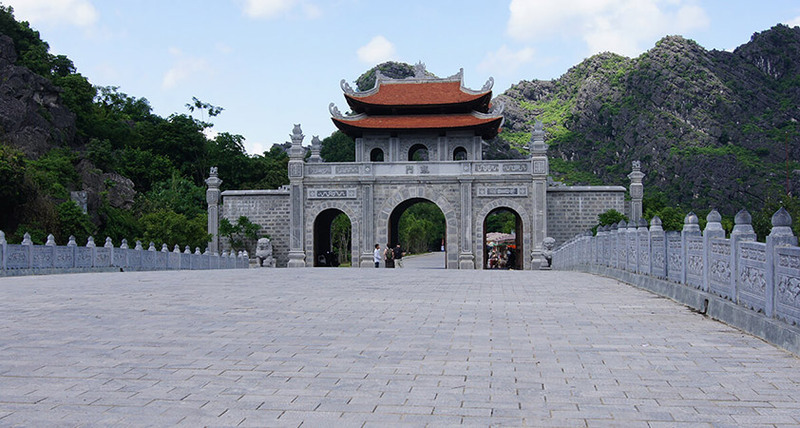 The tomb of Dinh Tien Hoang is located on nearby Mã Yên mountain, while the tomb of Le Dai Hanh lies at the foot of the mountain. Transfer to the airport for the morning flight to Danang. When arriving in Danang, visit the Cham Museum and Ngu Hanh Son (The Marble Mountains), is about 8km southeast of Da Nang City. 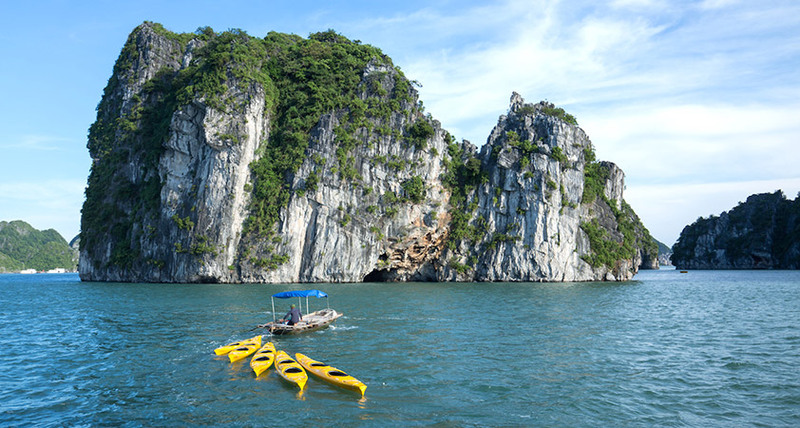 This is a cluster of five marble mountains lying close to the sea. 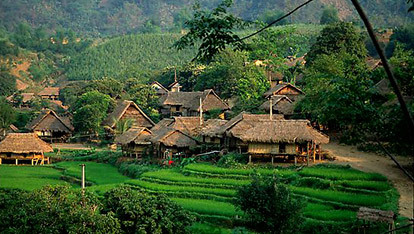 That is why, it is dubbed Hon Non Nuoc, which means Mountain and Water in Vietnamese. 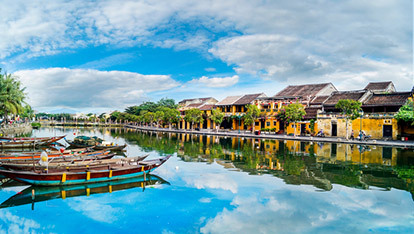 Continue to the riverside town of Hoi An, an important trading port during the 17th and 18th centuries officially listed as a World Heritage Site. After breakfast, the whole morning is at leisure before transferring to Hue through Hai Van Pass and the picturesque fishing village of Lang Co.
After breakfast, take a boat for a cruise on the gentle Huong River (Perfume River) and Thien Mu Pagoda on the riverbank and Emperor Minh Mang’s tomb, reminiscent of the Ming tombs in Chinese pavilions, ponds and gardens is known for its perfect harmony between architecture and its natural environment. It began to be built during his reign (1820-1841) and was completed only in 1843, two years after his death by his successor Thieu Tri. 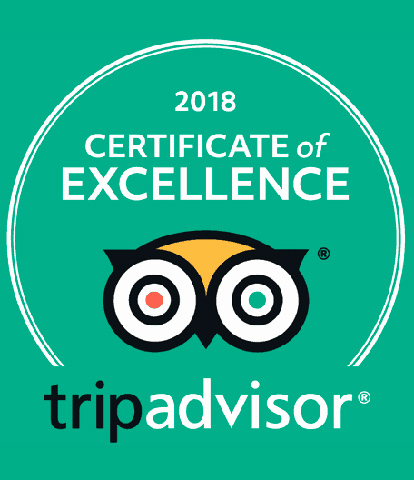 In the afternoon, visit the Imperial Citadel,city of the Nguyen Dynasty (1804-1945), Visit some of the most highly revered site in this World Heritage area: The Flag Tower, South Door, Edict Pavilion, Supreme Harmony Palace, and the Forbidden Purple City. 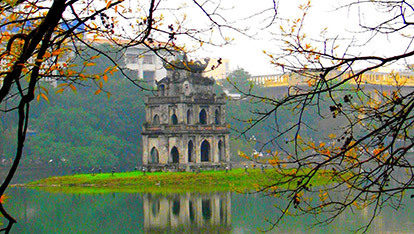 The mausoleum of Emperor Khai Dinh, is unique among the royal tombs in Hue, Vietnam. 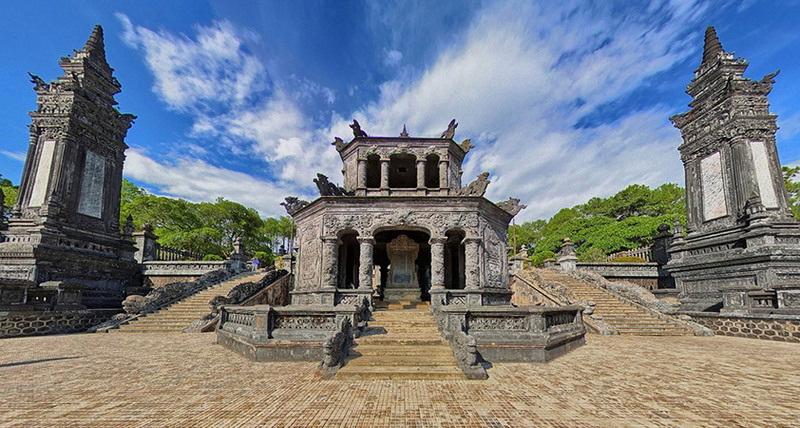 Where other royal tombs are expansive and invite respectful reflection, The Nguyen Emperor Khai Dinh built his final resting place to be monumental in style and bombastic in execution. And the Dong Ba market. 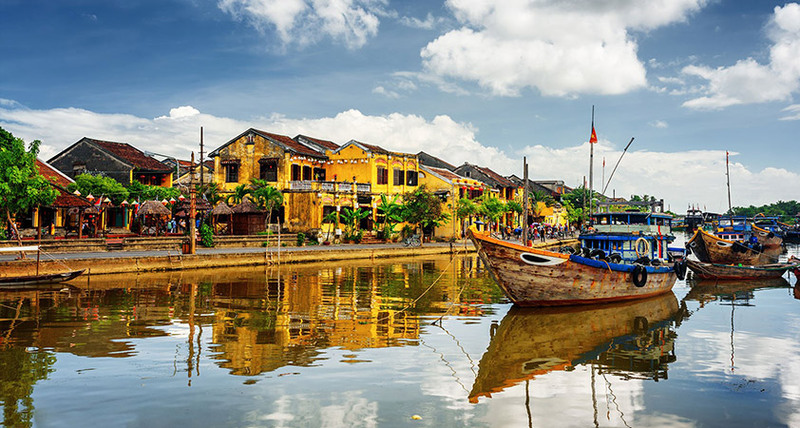 After an early breakfast, transfer to Hue Airport for your morning flight to Ho Chi Minh city ,under the name Saigon, it was the capital of the French colony of Cochin-china and later of the independent republic of South Vietnam from 1955-75. 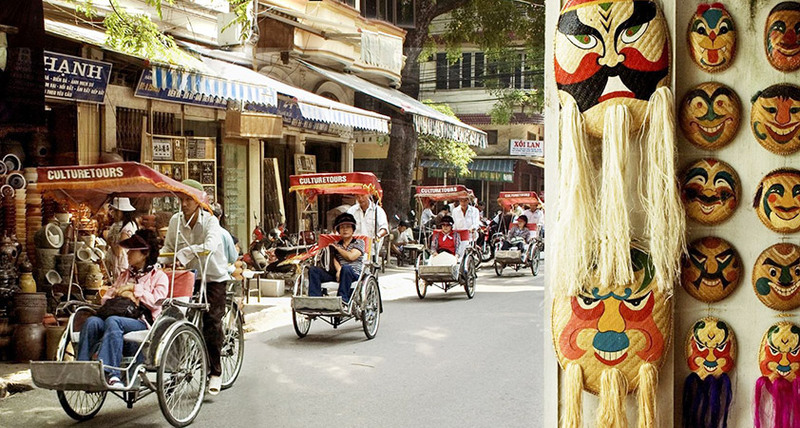 On 2 July 1976, Saigon was officially renamed Ho Chi Minh City, name of Vietnamese communist revolutionary leader who was prime minister (1945–1955) and president (1945–1969) of the Democratic Republic of Vietnam (North Vietnam). 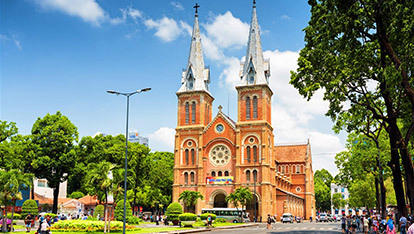 When arriving in Saigon, transfer to your selected hotel. 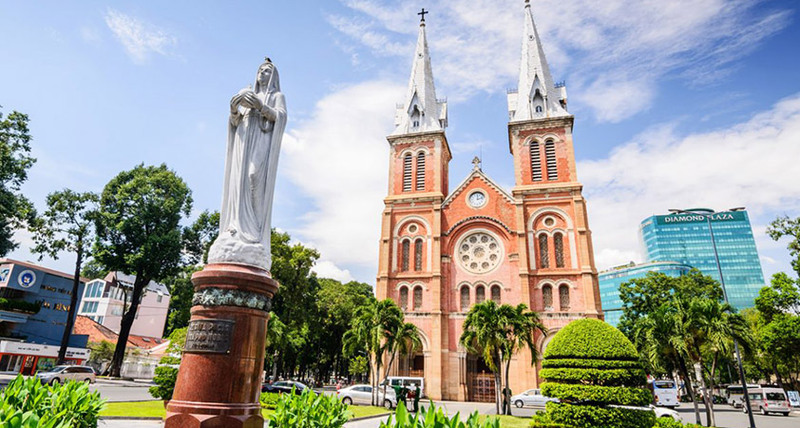 In the same morning, discover a busy Saigon: enjoy a tour in the Old Colonial Residential Quarter and visit the City’s old Hotel, a palace built by the French architect Paul Gardès of 1902-1908 in the center of Saigon in Indochina at the time. End the day with a visit to a lacquer ware factory. In the morning, depart from Ho Chi Minh City and drive to My Tho, is the capital city, center of economics, education and technology of Tien Giang province, located in the Mekong Delta region of South Vietnam where the Mekong River approaches and empties into the sea through a network of distributaries, life revolves much around the river, and many of the villages are often accessible by rivers and canals rather than by road. Lunch in a local house. 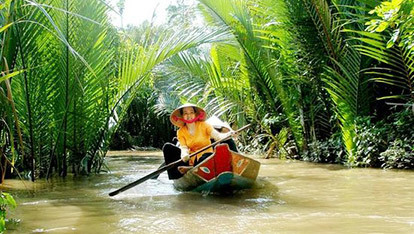 Then continue to Can Tho, the main town of the Mekong Delta. 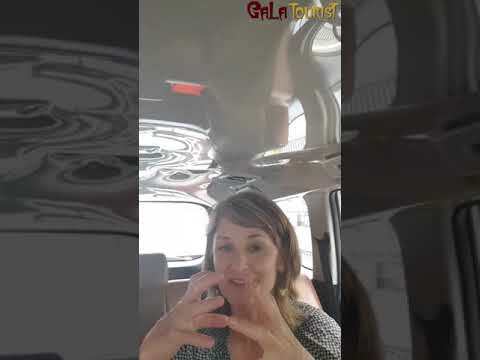 Drive to Ba Hung homestay - 10 km from Can Tho city. You can make a beautiful walk or bike around the village, visit a craft village. Overnight at Ba Hung homestay. 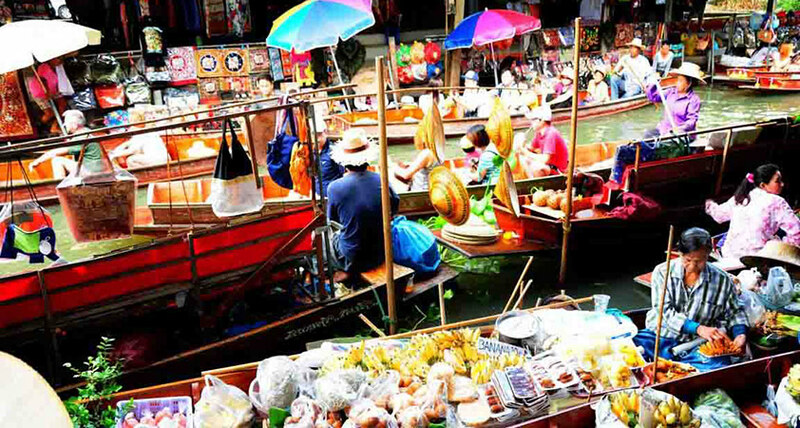 After breakfast, take a sampan to visit Cai Rang floating market and a family-run noodle-making factory. 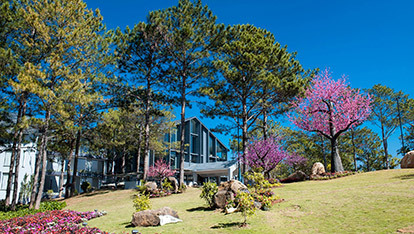 Witness the rural life and the beautiful vegetation along the riverbanks. 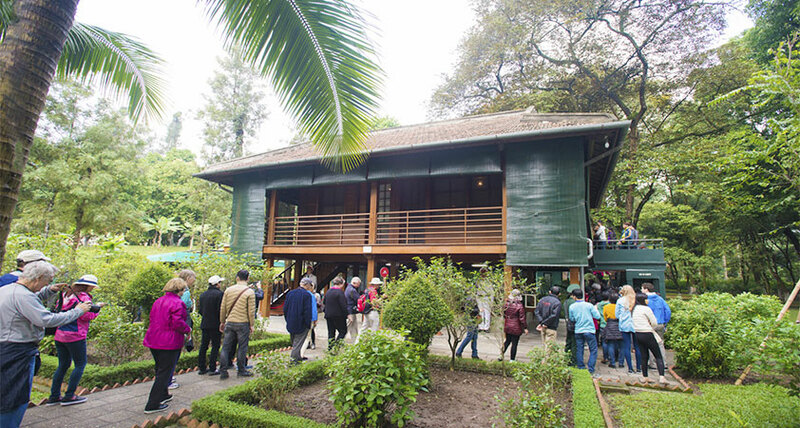 Discover the Ba Cong garden by tasting its fresh fruits, a craft factory of noodles before returning to Saigon. On the way, lunch at Mekong restop – a romatic place. Free time until your transfer to Tan Son Nhat airport for the departure flight. 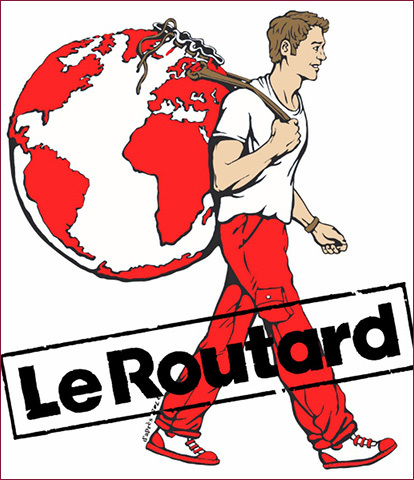 End of our travel services!